County Road G was closed overnight at the Utah border on Feb. 15 as officers from Utah and FBI officials investigated a fatal shootout that followed a Montezuma County car chase. A U.S. attorney has cleared a Montezuma County sheriff’s deputy who killed a man during a shootout in McElmo Canyon in February, but the deputy has been fired for violating department policy. Sgt. Edward Oxley killed Fordell Hill after a 12-mile car chase that involved several exchanges of gunfire. Two unidentified people who were in the car with Hill were taken into custody by the Bureau of Indian Affairs. Their names have not been released. 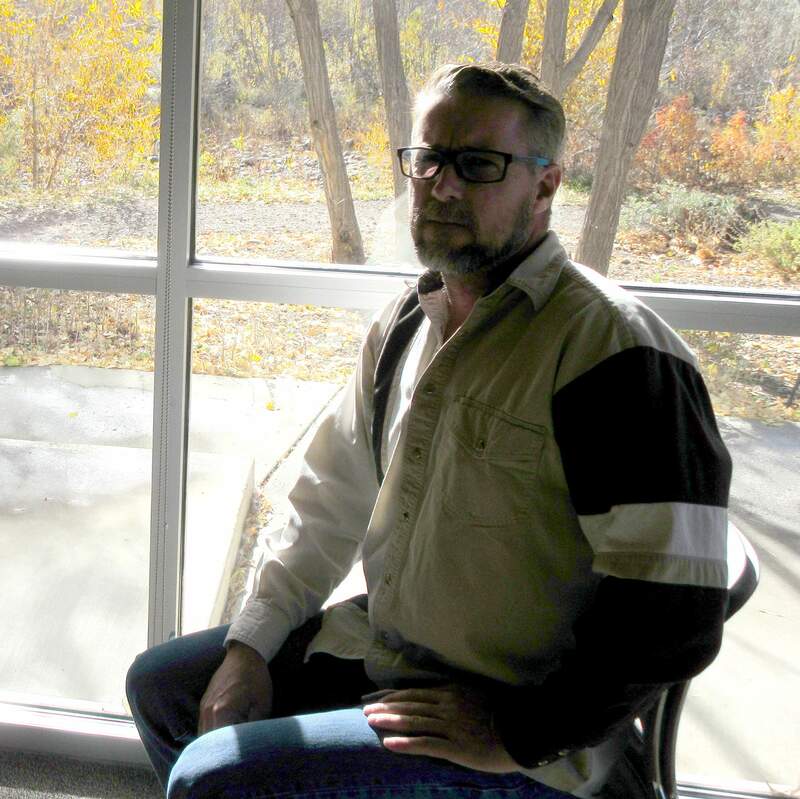 “The federal investigation ruled the homicide was justified, and there are no charges filed against Mr. Oxley,” said Montezuma County Sheriff Steve Nowlin. But an Internal Affairs investigation by the Sheriff’s Office concluded that Oxley violated three department polices during the chase that led to the shootout, according to documents obtained by The Journal. Nowlin fired Oxley in September, citing the policy violations. Nowlin accused Oxley of shooting at or from a moving vehicle, using unapproved ammunition while on duty, and carrying unapproved ammunition. Nowlin declined to provide The Journal with the Internal Affairs report on the incident, saying it was not public record under Colorado open records law. He also refused to comment about the case until the Colorado Bureau of Investigation and 22nd Judicial District was finished with its investigation. 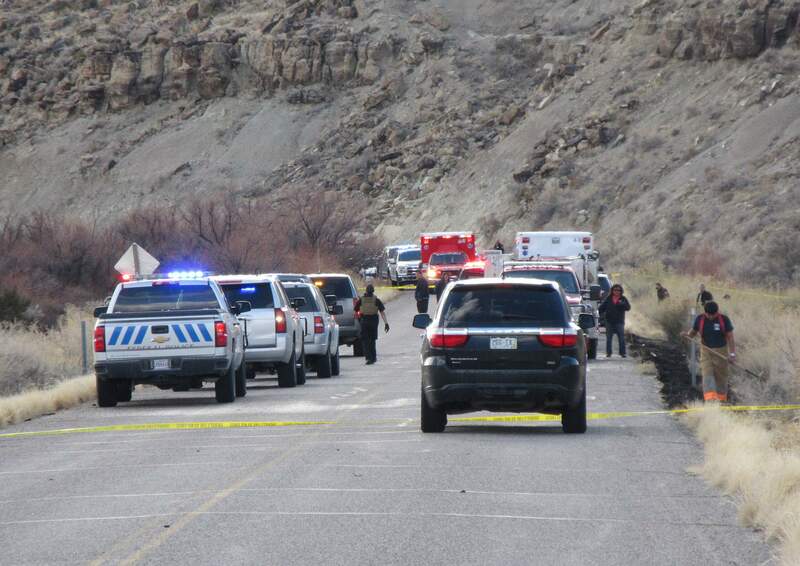 Former Montezuma County Sheriff’s Office deputy Edward Oxley was involved in a fatal shootout in McElmo Canyon Feb. 15. The U.S. attorney’s office in Utah ruled the homicide was justified, but Oxley was later fired by Sheriff Steve Nowlin. But Oxley contacted The Journal and provided his termination letter, which outlined policy violations from the Internal Affairs investigation that led to his dismissal. During an interview Friday, Oxley rebutted accusations that he violated the Sheriff’s Office policy about shooting from a moving vehicle. He also discussed the dangerous situation that day and provided details about the incident. Oxley was not injured, but his patrol car was shot up. 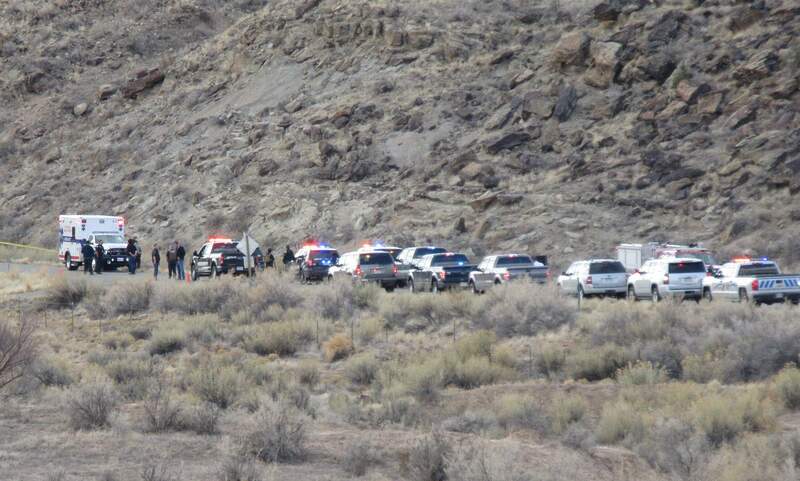 The chase ended when the disabled vehicle stopped just across the Utah border. County Road G was closed overnight while the shooting was investigated. The entire incident lasted over 17 minutes. ‘It was my duty to stop him’In the early the afternoon of Feb. 15, Oxley pulled over an older white sedan with three occupants in the 12000 block of Montezuma County Road G for a traffic violation. Oxley said the vehicle was missing a taillight and had indecipherable temporary plates. The driver had an ID card but no license, insurance or registration, Oxley said, and the other two passengers, one of whom was Hill, had no identification. While checking the driver’s ID in his patrol car, the vehicle left the scene, did a U-turn and headed west. Oxley said he radioed in that the suspects left the scene, and he followed them without lights or sirens. “My intention was to follow until they left the state, and that would be the end of it,” he said, noting that San Juan County Utah authorities had been notified. But then Hill began hanging out the passenger-side window, looking back at him, Oxley said. He heard gunshots and saw a silver handgun on the passenger side. Believing that someone willing to shoot at an officer could also attack someone else, Oxley said he fired back with his handgun in an attempt to disable the vehicle or suspect. The two exchanged gunfire several times while driving west on County Road G.
At one point, Oxley shot through his patrol car windshield to get a better line of sight on the vehicle and to help protect himself from gunfire. He grabbed his department-issued AR-15 rifle and returned fire from a hole in the windshield. Oxley pulled over in the 4000 block of County Road G to reload the assault weapon, then caught up with the suspects and continued to exchange gunfire. “I believed that if I didn’t stop them, they could hurt someone else, drive up a driveway to steal another vehicle at gunpoint or ambush another cop down the road,” he said. Oxley said he fired about 50 rounds during the chase and final shootout a few hundred yards into Utah. A fatal shootout in February ended in Utah, just past the Ismay Trading Post on County Road G. A man was killed, and the investigation is continuing. Oxley, who has 27 years of experience in law enforcement, said he shot at only the vehicle and passenger side when fired upon, and said he never shot when residences or other vehicles were nearby. With one tire shot out, the vehicle came to a stop, and the driver came out with his hands up and lay on the ground, Oxley said. But Hill exited the vehicle and continued to fire at Oxley, who took cover behind his truck, he said. In the next exchange, Hill was hit and went down. The other passenger had also exited the vehicle and was lying on the ground. They were held at gunpoint until backup officers arrived. The car had rolled into the ditch and started a brush fire. Federal investigation at a crossroadsThe chase and shootout occurred over a 12-mile stretch in a jurisdictional patchwork of land in Montezuma County, Navajo Nation and San Juan County, Utah. It was eventually determined the fatal shooting occurred on Navajo trust land, so the case was turned over to the FBI. On Aug. 31, the Utah U.S. attorney, John W. Huber, ruled the fatal use of force was justified in a letter to the FBI investigator of the case but expressed concerns about Oxley’s actions. Oxley provided a copy of the letter to The Journal. The U.S. attorney’s office reviewed 14 computer discs of information related to the officer-involved shooting and screened them for possible criminal charges against Oxley. “While some of Sergeant Oxley’s actions during pursuit within Indian Country appear to have been negligent, even reckless, his conduct does not present a provable violation of federal law,” the letter states. ‘Poses a substantial risk’Before his termination, Oxley was put on administrative leave during the investigation and was interviewed as part of an Internal Affairs investigation. In a Sept. 17 termination letter to Oxley, Nowlin claims Oxley’s actions were unsafe. Nowlin states that according to the investigation, Oxley was 80 to 100 yards behind the vehicle and drove to within two or three car lengths once shots were fired. “This decision by you put yourself in unnecessary danger and began further poor decisions and actions by you that put innocent persons and the public in danger,” Nowlin’s letter states. The sheriff’s internal investigation only focuses on the portion of the incident that occurred within Montezuma County, and not the fatal shooting, which was investigated by the FBI because it occurred on Indian Reservation land. “Shooting at or from a moving vehicle are rarely effective, and poses a substantial risk to the public and property,” Nowlin states in the termination letter. He said officers in Utah were made aware of the fleeing vehicle and were ready to intercept. “Team work brings successful conclusions in high risk situations such as this incident,” Nowlin states. Oxley disputed the claim that he violated the policy of shooting from a moving vehicle but admitted he violated the policy of possessing and using unauthorized ammunition while on duty. “That was a mistake. I grabbed the wrong ammunition. It was a similar brand to department issue,” he said. A question of interpretationIn an appeal of his termination, Oxley defends his actions as necessary to protect the public from a suspect willing to fire upon an officer. His appeal was submitted in cooperation with his lawyer, David Albrechta. The appeal argues that the sheriff misinterpreted its own policies, and that Oxley’s behavior does not warrant termination. Oxley was fired upon and returned fire using his assigned weapons, the appeal states. “Mr. Oxley decided that letting the suspects flee was a greater risk to public safety than the risk caused by pursuing the suspects and defending himself on this sparsely populated country road,” the appeal states. It further states that no charges have been filed against the driver and other passenger from the fleeing vehicle, that the portion of the incident that took place in Montezuma County was not sufficiently investigated, and that Oxley did not have immediate access to a counselor after the incident. In the termination letter, Nowlin concludes that Oxley could have avoided imminent threat by backing off the chase. Nowlin said there are certain circumstances when a deputy has no choice but to shoot from his patrol car, but that this was not one of them. Oxley stands by his actions, claiming that stopping the vehicle to prevent additional crimes against the public was warranted. The 22nd Judicial District Attorney, Will Furse, said a shoot team is investigating the portion of the incident that took place in Montezuma County, in cooperation with the Colorado Bureau of Investigation. He said the analysis will determine whether deadly force was necessary and whether charges against the other two passengers in the suspect vehicle will be charged with criminal violations.